Make PowerShell a real solution. Smart. Simple. Secure. "ScriptRunner is a master of organizing, categorizing and delegating scripts." with scripts and easy integration with third-party systems. all activities related to PowerShell and the use of scripts with policies. all PowerShell scripts, logs, and reports in one central place. of recurring routine activities to the service desk and end users. 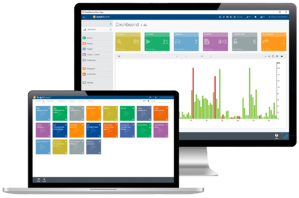 over all processes, clear dashboards and complete reporting. of PowerShell scripts in the team and start quickly with script collections. How would you like to get to know ScriptRunner? I would like to install and test it myself. I would like to get an online demo.